Every second that passes matters for patient in critical condition and can be the difference between life and death. The most important aspect of saving lives in an emergency situation is proper and timely treatment. Samitivej Chinatown Trauma Center provides a systematic approach to treating trauma patients with our dedication to a 24-hour state of readiness. 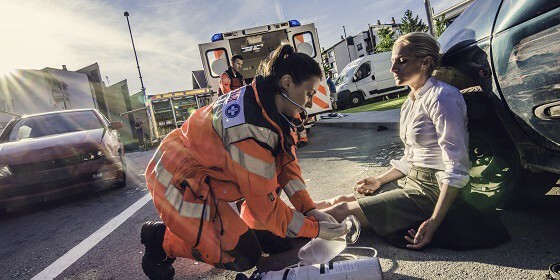 The scope of services includes everything from critical care transport and definitive surgical care for trauma victims to comprehensive rehabilitation services. Our healthcare team and support units are well trained and are ready for prompt response. Additionally, the hospital meets the highest international standards for medical, safety and quality as demonstrated by the Joint Commission International Accreditation of Hospitals Gold Seal of approval.